Gate extensions to customize the length of your pressure mounted safety gate. Light Grey extensions work only with the Munchkin Wood & Steel Gate. Extensions come in three different sizes; 2.75", 5.5" and 11". Extends up to 54" wide. 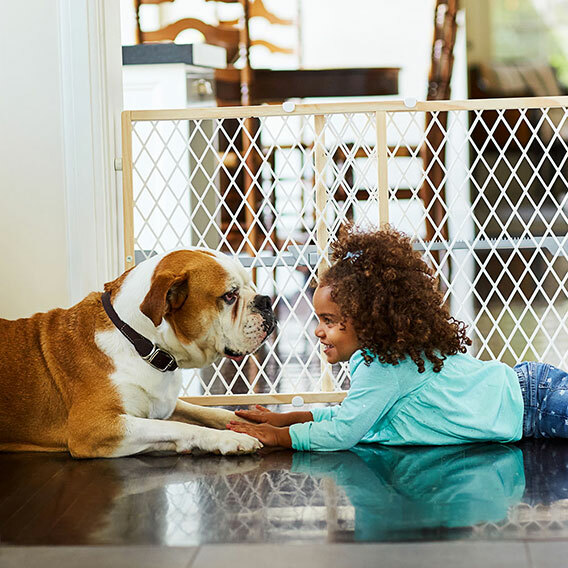 If you need to extend your Munchkin Wood & Steel™ Gate, you can do so with these gate extensions available in a variety of sizes to give you the perfect fit. Make sure you've taken a moment to measure the opening where you'd like to place your safety gate.<br /> These extensions can be combined to span a variety of openings up to 54".<br /> Available in three sizes: 2.75", 5.5" and 11".